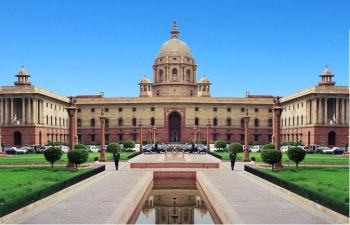 The Government of India has announced Internship Programme in the Ministry of External Affairs, New Delhi as well as in Indian Missions and Posts to provide an opportunity for budding scholars to familiarize themselves with the process of formulation of foreign policy and its implementation. Indian citizens, OCI card holders and foreign nationals may apply for internship at the Embassy of India, Nur-Sultan. The candidates should possess a graduate degree or equivalent before commencement of internship. The students who are enrolled in a five-year course and have completed three years of the course before commencement of internship may also apply. Preference will be given to the applicants having an excellent academic track record and research scholars. The internship shall be for a period of one to six months. No financial remuneration shall be paid to them. The internship programme shall neither be an employment nor the assurance of any employment with the Ministry. The interns may submit a report on completion of their internship to the Head of Mission, who would issue a certificate to them. For internship at the Embassy of India, Nur-Sultan, applicants may send their applications to Head of Chancery, Embassy of India, Kaskad Business Centre, 5th Floor, 6/1, Kabanbai Batyr Avenue, Nur-Sultan. Click here for detailed Guidelines for internship & Application form for internship.